A high-performance 4-bay NAS, specifically designed for offices and home users to effectively manage, protect, and share data. 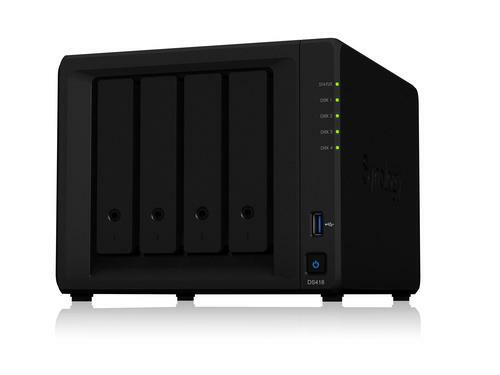 Combined with Synology Drive to simplify data management by synchronizing files across various platforms. The new 64-bit quad-core processor delivers volume management and supports large-capacity storage and 10-bit 4K H.265 video transcoding to enrich multimedia entertainment. Using this with Synology Moments, AI technology helps auto-sort your family photos and provide super-resolution of your photos even when the connection isn't ideal.